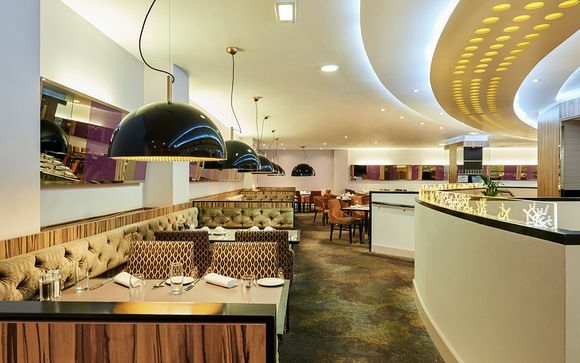 Novotel London West features two brilliant restaurants, a lovely lounge and a great location. It is located near Hammersmith tube and is well connected for sightseeing. 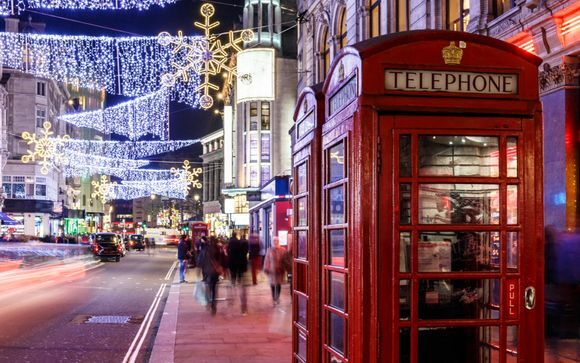 Fall in love with London's fantastic mix of culture, history, shopping and nightlife. Our offer includes a river cruise from Westminster to Tower Bridge - a wonderful way to see the city. 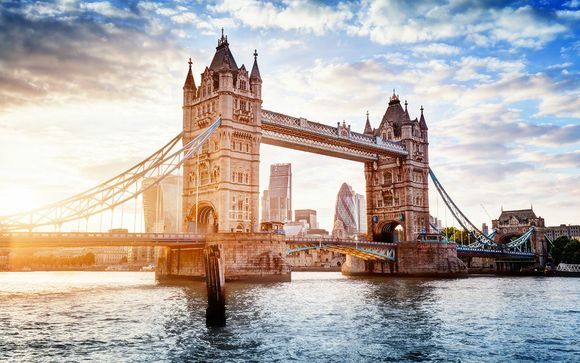 Just for you: Thames River Cruise from Westminster to Tower Bridge. Your hotel has a great located alongside Hammersmith Tube Station, within walking distance of West Kensington underground. Please note: river cruise tickets will be sent to clients separately. 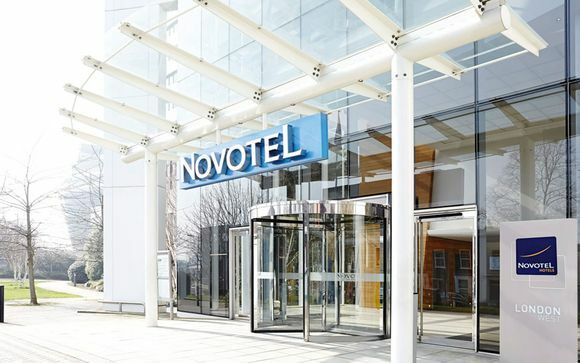 Discover the contemporary elegance of Novotel London West. 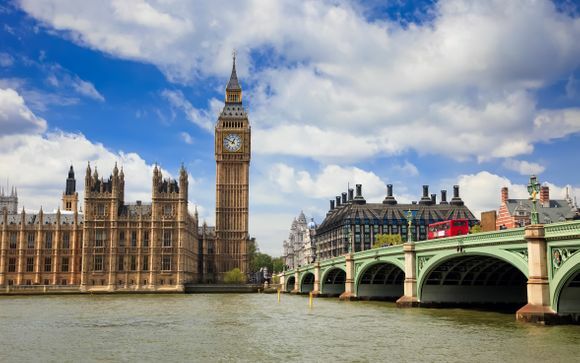 Just minutes from three of London's main tube lines, it is the perfect location for your stay in the capital! 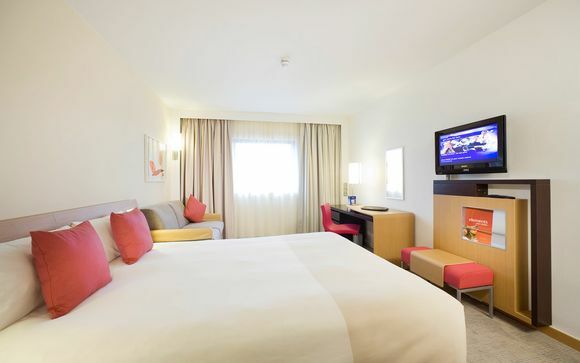 The 4* Novotel London West Hotel is conveniently located near the shopping area of Kensington and the famous Hammersmith Apollo Theatre. The hotel boasts two international restaurants, spacious and comfortable bedrooms, a bar and a modern fitness centre. The ideal home away from home! Please note that due to its central location, your hotel is near a busy road so there may be some noise. Your comfortable room provides modern decor and ergonomic comfort. Enjoy internet access, a sleek en-suite, TV, hairdryer, safe, mini-bar and all other necessities for a great stay! Aroma Restaurant offers a wonderful array of international cuisine. Served buffet style, diners are offered a wide selection of top quality meats, seafood, breads, fruit and vegetables. All perfectly prepared for a most enjoyable dining experience. The cruise takes in the best of London’s landmarks allowing you to experience the full sights of the city. Westminster Pier is one of the best-situated piers for many of London's most historic and prestigious landmarks and attractions, including the Houses of Parliament, Churchill Museum, Buckingham Palace, Westminster Abbey, Cabinet War Rooms and Big Ben, the famous bell at the top of the Clock Tower of the Palace of Westminster. Distance from Hammersmith Tube Station to Hotel Novotel London West: 650m / 6 minutes.